(Natural News) Nutrients are like instructions, building our cells and telling them how to operate and communicate. These instructions strengthen our genetics, communicating vitality and disease prevention. The lack of nutrition can cause deficiencies in our bodies, damaging cells and bringing the worst traits out of our genes. Research shows that these nutritional instructions can be passed down through genetic code into the next generation. In fact, new research suggests that a maternal diet high in choline can protect future generations from Alzheimer’s, even when dietary choline levels are low in the offspring. The study, from Arizona State University in Tempe and the Translational Genomics Research Institute in Phoenix, AZ, was conducted on mice that were already genetically predisposed to Alzheimer’s disease. One group of mice were fed a diet enriched with choline. The other group did not receive choline supplementation. The researchers bred two generations of mice from the two groups and found differences in their brain activity as they aged. The mice that were born from mothers on choline-rich diets developed fewer disease-associated brain changes. They also exhibited improved memory skills. Even when the descendants didn’t receive choline in their diet, they still enjoyed the benefits of brain protection from their mother’s nutrient-rich diet. The human body makes its own choline, but relies on dietary sources to get the full amount needed for healthy cellular functions. Choline, found primarily in fish, eggs, chicken liver, broccoli, nuts, and seeds, is an essential nutrient that helps the brain develop. Choline also protects the structure of cells. This nutrient actually helps other nutrients travel throughout the body. Choline is needed to make acetylcholine, a neurotransmitter that coordinates memory, mood, and muscle control. Remarkably, the brain-protective benefits of this nutrient are passed down to the next of kin. This is great news for people who consume nutrient-rich diets. Not only will their cells thrive throughout life, but they will pass neuro-protection and disease-resistant traits to their children, benefits that will help their family stay strong even after they have passed away. If a pregnant mother has a deficiency in choline, a developing fetus will struggle to meet milestones such as walking and talking. Choline also helps with the flow of bile. It is needed to make phosphatidylcholine, an important phospholipid that breaks down lipids in the liver and forms strong cell membranes. In the study, the recommended amount of choline was sufficient, but supplementation provided a greater benefit. People are twice as likely to develop Alzheimer’s if they have high levels of homo-cysteine in their brain. Homo-cysteine is an amino acid that causes beta-amyloid plaques to develop in brain tissue, leading to poor memory. When choline is present, homo-cysteine is converted into a benign substance called methionine. This is one way choline helps prevent Alzheimer’s. The other way choline helps is by controlling inflammatory, hyperactive microglia cells. These cells are intended to clear waste material from the brain, but when they become inefficient, they cause inflammation in the brain cells. 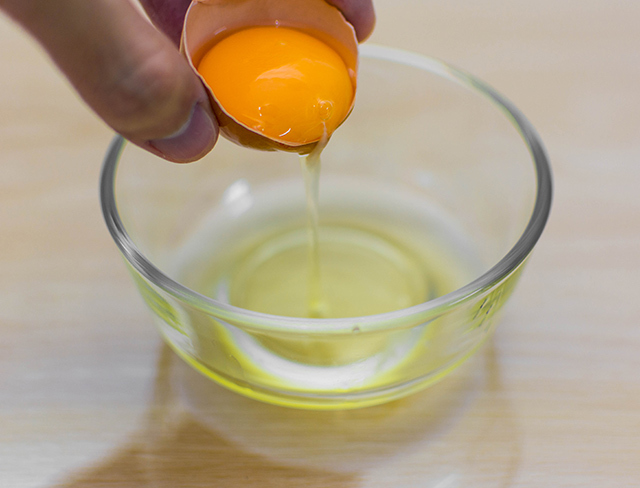 Choline reduces their inflammatory activity, making them function more efficiently. When the researchers examined the hippocampus region of the brain tissue of the mice, they found that choline supplementation reduced microglia hyperactivity, homo-cysteine levels, and beta-amyloid protein formation in both the first and second generation offspring. These actions “significantly changed the expression of 27 genes,” preventing neurological disease in future offspring. This study shows that choline is a comprehensive solution for prevention of Alzheimer’s for generations to come. For more breakthrough discoveries on nutrition and genes, check out Nutrients.News.